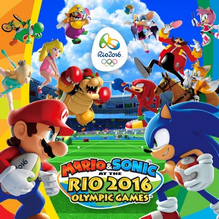 Mario & Sonic at the Rio Olympics 2016 for Nintendo 3DS and Wii U was delisted on December 26th, 2017. In a post on December 20th, 2017 JapaneseNintendo.com reported that Nintendo had announced that the game would be removed on both platforms in Japan. At the time no confirmation was given regarding the international versions of the game that were available to download in Australia, Europe, and North America. These versions along with other Mario & Sonic at the Olympics titles were also delisted worldwide by December 26th.